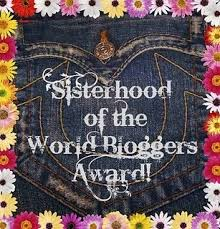 I was recently nominated for the Beautiful Blogger Award by one of my amazing followers April from A Well Read Woman. Thank you April for all the likes and comments you you leave on my posts. 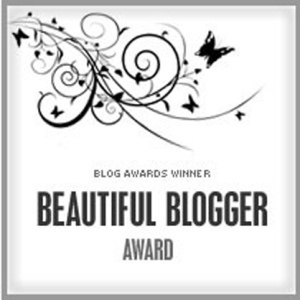 And thank you for the Beautiful Blogger Award! I’m so lucky to have a follower like you. 3. Nominate 7 (yes, only seven) other bloggers and say a little something about them. 1. Living Life With Joy – Arielle is my fellow CA blogger. She lives a short (maybe an hour or so) drive from me. We follow each other on Instagram, Twitter, and Facebook and it’s pretty clear we have some things in common (other than reading books of course). We both like hockey. She’s a Ducks fan and I’m a Kings fan, but I’ll cheer for the Ducks if my Kings are no longer in the playoffs. Her blog is great too! I love the daily quotes she puts up. 2. Paris Baker’s Book Nook – Paris was one of my early followers who left lots of comments and liked a lot of my posts. She really kept me motivated to keep up with my blog. Her reviews are amazing and she always has great giveaways! 3. Books Over People – I seriously can’t get over how cute this blog is! The little caterpillar with glasses gets me every time. Her posts are very well written and have just as much cuteness as that little caterpillar. Plus this girl is a Disney lover like me! 4. One More Page – I always enjoy reading Karen’s book reviews. The thing I love most about her book reviews (other than the fact that it gives me insight into a book I might be thinking about reading) are the pictures she includes in them. They are always photos of the book itself surrounded by flowers and and other cute things. 5. Dancing Through The Pages – I absolutely love the name of Kelly’s blog! That’s exactly how I feel when I read a book. I’m dancing away in the world I’m reading. She writes really great reviews and I’m always excited to see her posts in my feed. 6. Stephaine’s Book Reviews – Stephanie’s reviews are great! She’s very honest about the books she reads and sometimes she doesn’t sugar coat it if she doesn’t like one. I love her honesty. I also love her loyalty as a follower. She always likes and comments on my reviews as well. 7. Books for the Trees – This is a new blog I follow so I’m fresh into her writing, but I was instantly sucked in because of the pictures she incorporates into her posts. They are super funny and cute! I look forward to reading more on Anna’s blog. To get you in the holiday spirit I wanted to share some exciting news! 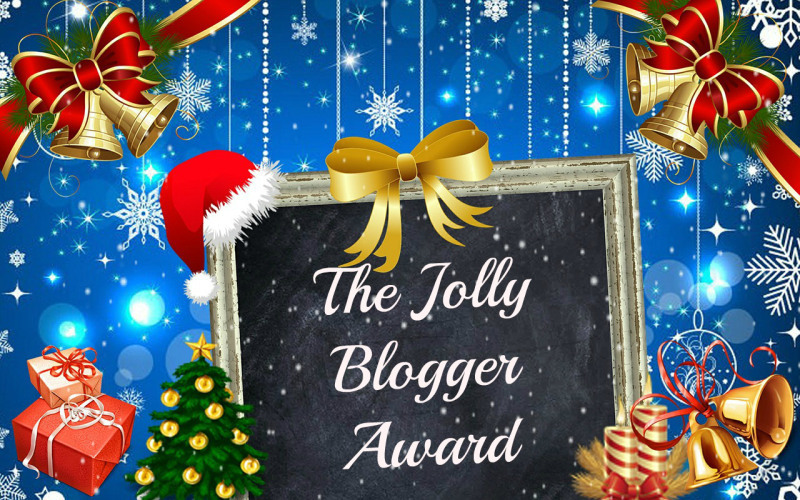 I’ve been nominated by Coffee n’ Notes for The Jolly Blogger Award. What a great way to start Christmas! Thank you so much for the nomination Coffee n’ Notes! I really appreciate my followers and how supportive they are of my blog. 3. Nominate ten lovely bloggers! This year I didn’t really have a Christmas Wish List other than being able to spend time with my family. I’ve been so busy with work and wedding planning that I haven’t been able to visit people close to me. I will get to see everyone this Christmas and I can’t wait! What would be the perfect Christmas? Spending time with my family (there’s a theme here) and cuddling up next to my fiancé while we watch a Christmas movie together. What’s your favorite winter make-up look? I don’t really think about a particular “look” for the season in regards to my make-up. I just wear what works with my complexion. That’s usually a lot of neutral colors. No, but I don’t spoil it for others especially my youngest sister. She’s 10 now and still believes in Santa. What is your favorite Christmas food or drink? I love my fiancé’s homemade hot chocolate. He makes it right before we watch the Christmas carolers in our neighborhood. It’s a big performance and yummy hot chocolate. Will you be traveling for Christmas, if so where? I will be travelling, but not far. My dad’s house is only an hour away. Would you prefer Christmas with or without snow? Without. I really don’t like snow, but that’s because I can’t stand the cold. Nope. I’ve never liked eggnog, but I do have a funny story. When my fiancé and I were hosting a Christmas party, he asked for me to start working on making eggnog while he picked up a few things. Since I don’t like eggnog and never drink it, I didn’t really know what to expect when making it myself. I followed my fiancé’s recipe exactly, but the recipe he found skipped a ton of steps and was even missing the main ingredient. Needless to say, we didn’t serve eggnog at our party. What is your favorite winter clothing? Do you leave Santa cookies, if so who eats them? I don’t recall leaving Santa cookies, but I’m sure my siblings and I did at some point. I don’t think I can pinpoint just one gift, but obviously I love when I get books. Dressing my baby sister up in her Christmas outfit and taking her to see Santa. Since it is Christmas Eve, I’m asking my nominees the same questions I was asked. They are pretty great questions. I’m so honored that I’ve been nominated for another Liebster Award by Afiqah Hanna of This Is Hanna. I’ve been so fortunate to have such amazing followers who recognize the work I put into this blog. 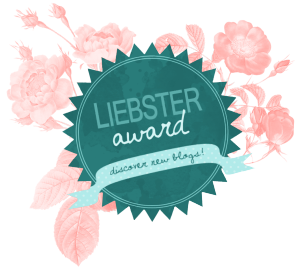 You can check out my first Liebster Award here. Link back to (and thank) the blogger that nominated you. Tag up to 11 other bloggers who have 200 or less followers. Ask your nominees 11 questions and let them know you nominated them! 1. What are your hobbies other than the obvious? Other than reading and writing I love playing softball. I’ve played softball since I was 7 years old and never get tired of the game, even if I injure myself. I used to play fast pitch up until I started college then I decided to switch to slow pitch adult leagues. Now my fiance and I play on co-ed teams together, but I think I’m better than he is…shhh. I would go with dog only because I grew up with cats and my fiance is really allergic. So I don’t see myself having a cat as a pet in my future. Plus I really want a Yorkie. Definitely tea. I’ve never been and never will be a coffee drinker. I’ve just never been able to get over the taste. 4. What is/are your biggest fear(s)? 5. Who is/are your idols? I would say Taylor Swift. She’s just amazing! 6. Serif font or sans serif font? Which do you prefer and why? I’m going to say sans serif because that’s what I use at work. I don’t really have a preference. 7. Do you listen to music while reading or working? If yes, what genre? Sometimes I do. Sometimes I don’t. It really depends on what mood I’m in and where I’m reading. If I do listen to music I’m usually on the train, but at home I prefer no music. I usually listen to country, pop, or movie scores. 9. Been to any concert? If yes, whose? If no, whose would you like to attend? The most recent concert I went to was Blake Shelton. Loved every minute of it! And I already bought tickets for Taylor Swift’s concert next August. I’m super excited to see her in concert. I currently work full time in the insurance industry as an Underwriting Associate in the Motorsports/Sports department. So, I’m nominating a few people who have over 200 followers, but I want to nominate them because I love their blogs. If you were stranded on a desert island and only had one book, what would that book be? What’s your favorite part of going to a bookstore? What book from your childhood has stuck with you the most? What book has had the largest impact on your life? What is a book from your childhood that you absolutely want to read to your children? What is the most books you’ve read in a single week? I’m excited to say that I have been nominated by Ophelle Taban of Bookburnn for the Liebster Award. Thank you for the nomination and I’m glad you enjoy my blog! As a weird side note, I keep seeing the word “Lobster” instead of “Liebster”. I think I need to satisfy this lobster craving of mine soon. 1. What are your top three favorite genres? My three favorite genres are Romance, Mystery & Thriller, and Memoirs, but I also want to throw in New Adult. Couldn’t narrow it down to just three. 2. Do you have any “unpopular opinion” towards any book? This is my personal preference, but I can’t read books that contain a lot of religion in it. I’m not a very religious person, so I keep away from those books to avoid getting frustrated. 3. What’s your favorite series? Um..is it a cliche to say that the Fifty Shades series is my favorite? I read all three books in a week! Couldn’t get enough of them. 4. Do you read non-fiction? Why or why not? Yes, I’m a big fan of non-fiction books, specifically memoirs. I love reading about other people’s lives even if some of those books are sad. It makes it that much more impactful knowing that this actually happened to someone. Reading memoirs also helps me work on mine…which I’ve been working on for quite some time now (crossing my fingers that I get it done within the next year). 5. What book would you recommend to a “beginner” reader? This is a tough question to answer because it depends on the type of person the “beginner” reader is. I don’t think I would recommend any of my favorite Nicholas Sparks books to someone who is totally not into romance, but if I had to pick a book I would say The Hunger Games trilogy (ok that’s three books). I know a lot of people who read these books and all of those people are very different, so perhaps those would work for a “beginner” reader. 6. Who’s your favorite character? And why? I like the guys who are into the average girl and not into the post popular girl. And I usually love the male characters who really fight for a girl. I guess I can’t really narrow it down to just one particular character from a book. 7. What book adaptation you hated the most? The Lucky One by Nicholas Sparks. So, Nicholas Sparks is my favorite author and I’ve loved all his movie adaptations expect this one. I don’t know what it was, but it didn’t feel like all the other movie adaptations. Something was off about it and everything felt very rushed to me. I didn’t really feel anything like the book made me feel. 8. Have you always enjoyed reading? Yes! For as long as I can remember, I’ve been reading books. I would be locked up in my room for hours when I wasn’t at school or had chores to do. I still love it to this day (obviously right?). 9. Can you imagine, what’s life like without books? It’s very hard for me to imagine a world without books because, as a society, we probably would still be living like cavemen. Books are the reason we know what we know and have the technology we do. Plus, I NEVER want to think of a world without books. 10. What’s your favorite book format? My favorite format will always be paperback, but I’ve come to appreciate the ebook format. When I purchased some books at B&N the other day, my fiancé asked, “why do you have to buy those now that you have a Kindle?” I told him sometimes I need to have the physical book in my hand. It’s just something I will always love, especially when I want to cuddle up in a blanket. Plus I’m very attracted to book covers. If the cover isn’t good I usually don’t read the book, but if I see one I like I usually buy it. The ebook format has it’s advantages though. I can carry multiple books around at one time and ebooks are cheaper. My fiance likes that I use this format because he says there’s no more room in our apartment for anymore books. That doesn’t keep me from buying any though. Lol. 11. What does your dream library look like? Ever since I can remember, I’ve always wanted a library like the one in Beauty & The Beast. The books seemed like they were never ending. I still dream of having a library of my own like that one day. I recently received my second One Lovely Blog Award from Bookish Hijinks for Love & Profit. Thank you so much Wendy! I’m so honored that she thought of me when deciding who to nominate for the award. I must be doing something “write”. Haha. See what I did there? 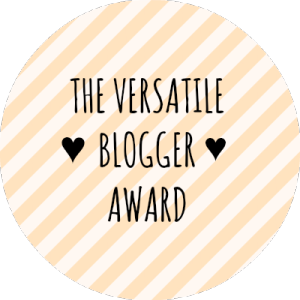 The One Lovely Blog Award nominations are chosen by bloggers for newer or up-and-coming fellow bloggers. The goal is to help give recognition and to also help the new blogger reach more viewers. It also recognizes blogs that are considered to be “lovely” by the blogger who chose them. This award acknowledges bloggers who share their story or thoughts in a beautiful manner to connect with their viewers and followers. In order to “accept” the award the nominated blogger must follow several guidelines. Since I was nominated for this award previously, you can check out the 7 facts about me and the bloggers I nominated here.